Coursera (www.coursera.org) is a website. Their slogan is “Welcome to Coursera! Take the worlds best courses, online, for free”. They offer free courses such as Mathematical Biostatistics Boot Camp 2 from Johns Hopkins University and Exploring Neural Data from Brown University as well as The Music of the Beatles by Professor John Covach of the University of Rochester. Guess which course I took? The six-week course on the Beatles consisted of about 3 hours a week of videos and as much listening time as you want to put into it. There are quizzes and suggested readings. 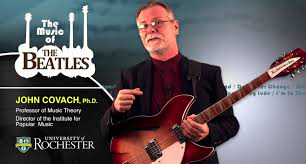 I really dug this class and have taken The History of Rock parts one AND two also presented by Prof John Covach on Coursera. All highly recommended. There are two records THAT are framed hanging on the wall in my home office. One record is a completely beat to hell Beatles Butcher Cover. I would describe the cover as vg minus minus minus. But framed on the wall from a distance it looks OK. It’s something I would never actually play so sitting on the wall getting dusty works perfect. The other record is one that I think about playing from time to time but won’t because it’s too much of a pain the rear end to bother with getting it in and out of the frame. It’s a problem cleverly solved by Record Wall-it. Easily attached to a wall, Record Wall-it allows you to simply display your album art while still being able to quickly access the records. The price point is very reasonable. This is probably the most affordably priced way to cover a wall with records while making it easy to get the records on and off of the wall. www.recordwall-it.com. 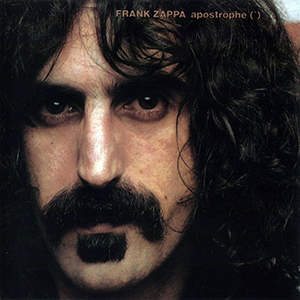 The 40th Anniversary Edition of Frank Zappa’s “Apostrophe(‘)” will be released by the Zappa Family Trust and Universal Records on September 30th. This is a big deal to guys like me. So far, everything the Universal/Zappa Family Trust partnership has released is of the highest, pristine quality. To my ears, on my equipment, I don’t think Zappa has ever been more engaging. All the CDs are re-released, I think, and the handful of vinyl releases so far are, like I said, stunning. These records are “go out and invest in a new cartridge” good.